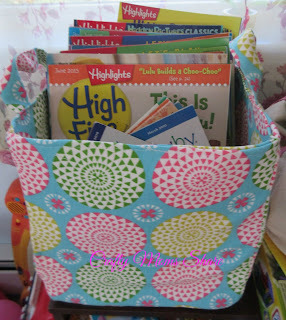 Today I am sharing with you a wonderful book for helping you organize your house (and especially your craft room). The book is Sew Useful by Debbie Shore. 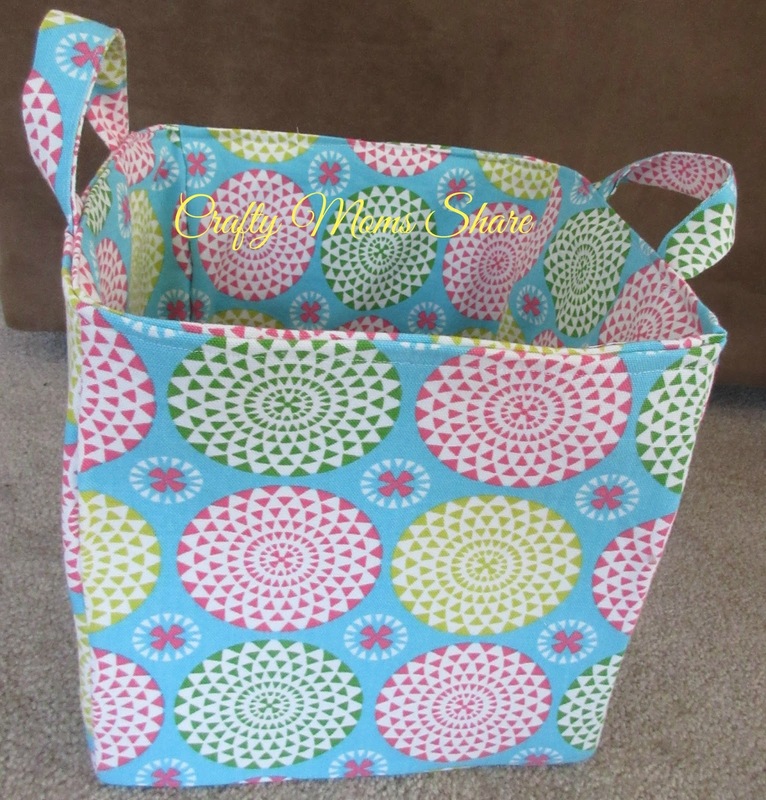 This book has easy to follow instructions for 23 organizational/storage items for your house and travel. 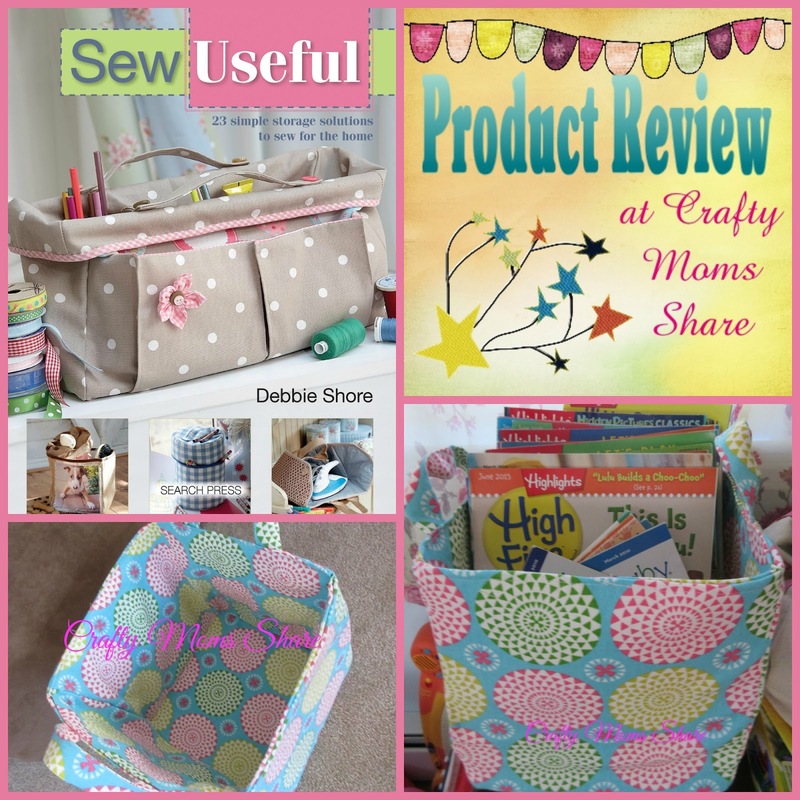 It has everything from a craft tote to a garment cover. I had a hard time deciding what to make first but I decided to try the storage cube. Now we have many store bought storage cubes since we have shelves that hold them in three different rooms and use them for craft items and toys. One of the cube storage shelves we have in our family room is full of Hazel's books. On top of it sit all of the magazines she has ever gotten. They are always falling all over the place and looking messy, so I made a fun storage cube for them with a fabric that matches our family room wall. The instructions were easy to follow and the items were very easy to cut out of the fabric. I am very happy with how the tote came out and Steve is very happy with the magazines looking neater. Now I need to decide what to make next. I love the craft tote that is pictured on the cover. I am thinking I want one for myself and maybe one for Hazel's craft supplies. 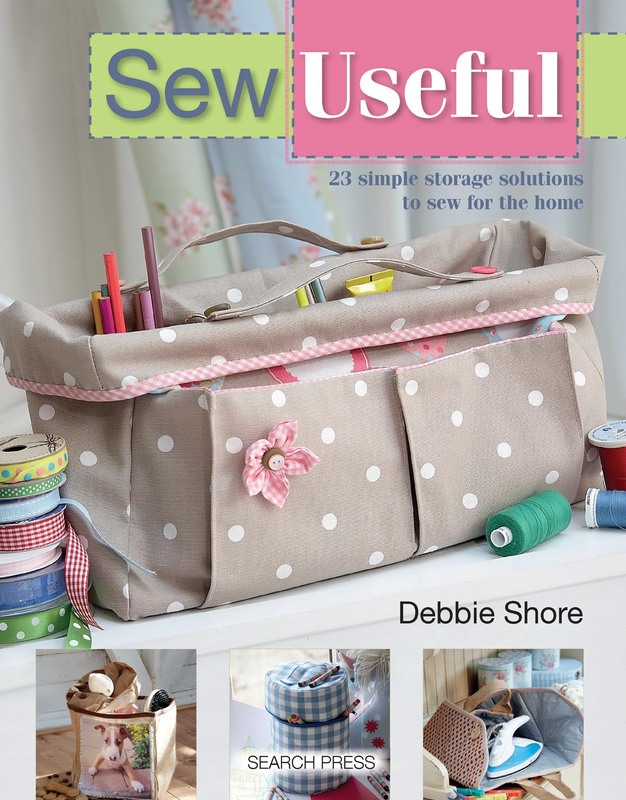 Then I love the iron caddy (lower right corner picture on cover) and just bought some of the necessary fabric for it. Oh, decisions, decisions. Needless to say I recommend this book and all of its very useful patterns. 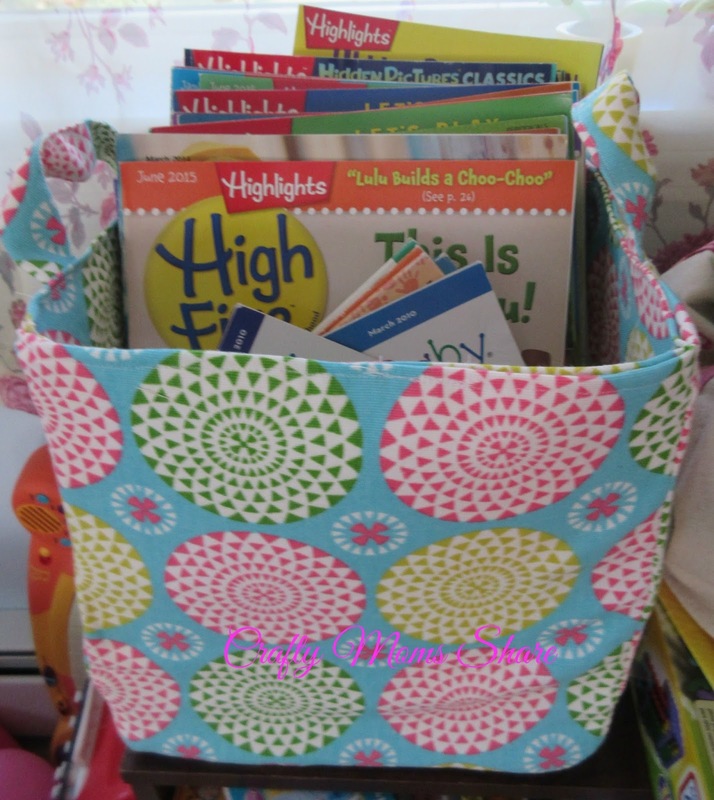 They are perfect for anyone who wants to organize in a fun way. 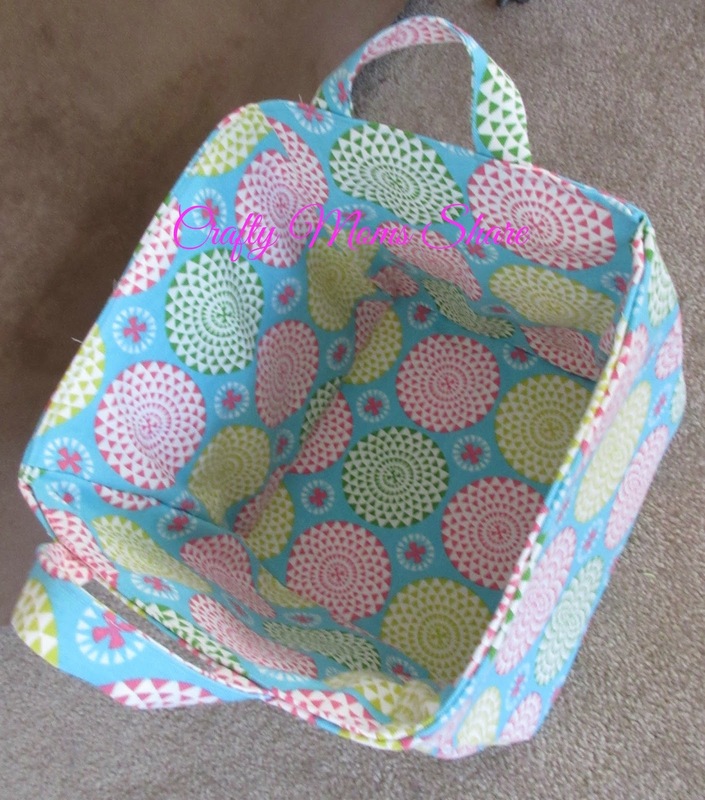 The patterns also include a nursery bag (diaper holder that doubles in the bathroom as an extra toilet paper holder), toy hammock, dish carrier, jewelry pouch and so many more!! The projects are easy and fun and sure to add some color to your world! Check it out! !